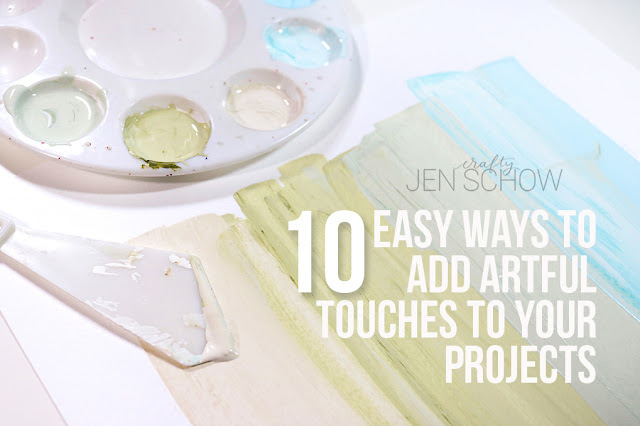 Do you love all of those gorgeous artistic looks you see in home decor, fashion, and craft projects? Are you a little intimidated by it? I want to show you 10 easy ways to add that artful touch to your projects! I go over them in detail in the video, or you can scroll through the list below for some inspiration! 1. 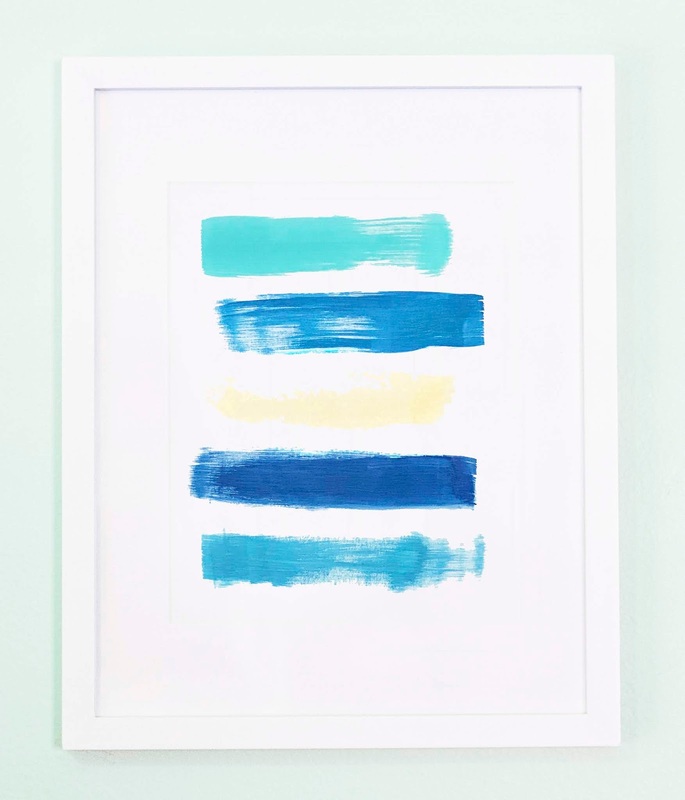 Acrylic Paint Stripes - Use a large flat brush, your favorite colors of acrylic paint and just swipe them across a piece of paper for some easy home decor or the background of a scrapbook layout or card! I used several different coordinating colors to drag the paint vertically for the background of this layout. On this layout, I created an L-shape with two shades of the same color and that created a home from my photo and embellishments. 3. 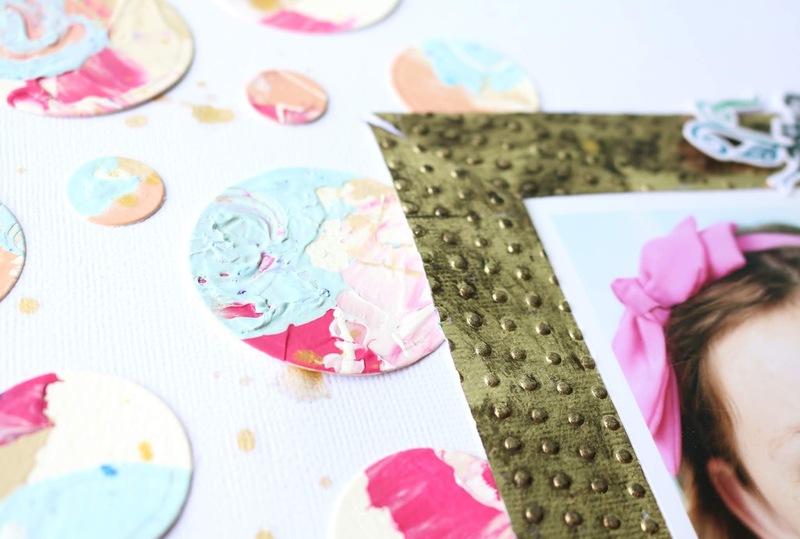 Paint Splatters - This technique is super easy. Just use watered down paint or spray mist and flick on the color. So easy. So effective. I use this on at least half my layouts! 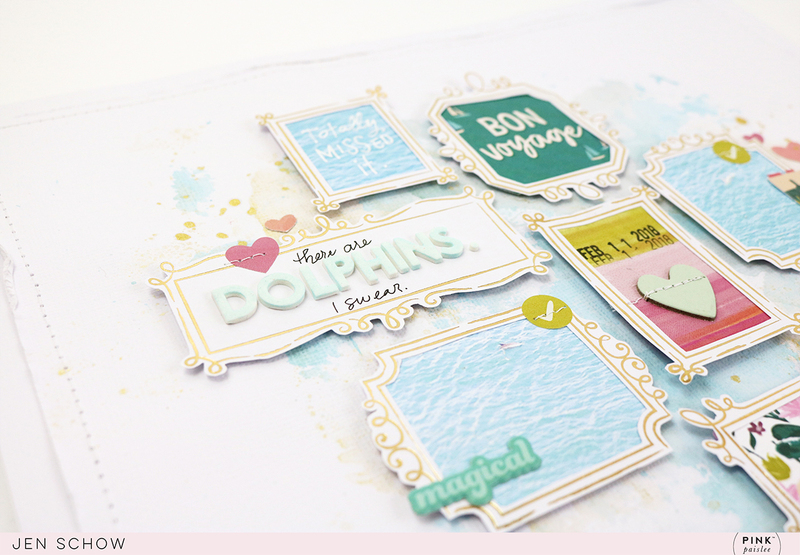 For this layout, I sprinkled paint in the colors of the embellishments and I love the extra pop it gives! 4. Punch or Die Cut Shapes from Painted Backgrounds - Sometimes a painted background just doesn't work out the way I planned. BUT, I always find that if I punch shapes out of it, I get little bits of goodness that are easy to add to my projects. Circles are my favorite. You can see on this layout that I took a piece of paper where I dragged the paint across and die cut circles from it. You get all the punch without being overwhelmed! Here's another example where I layered the paint on thick, let it dry overnight, and then punched it. Glorious! 5. Smooshing Paint/Ink with Packaging - This is absolutely one of my favorite ways to add that artsy look with almost no effort. Just take a piece of packaging, add watercolor, ink, or spray mist, turn it over, and smoosh it down on your paper. So easy! (Watch the video for a demo). 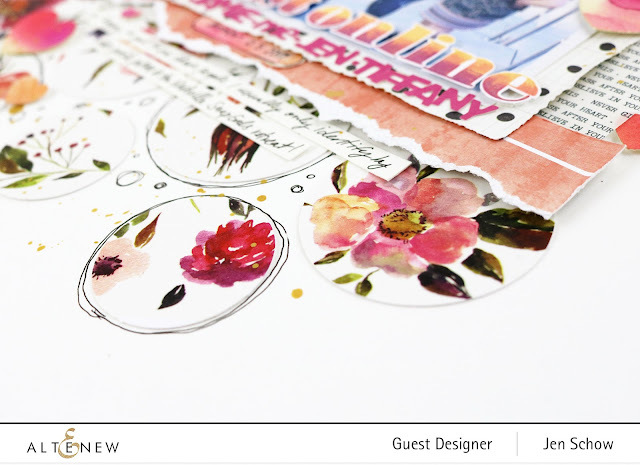 In this example, I used the same colors that I wanted to use for my layout and it gives a soft, ethereal look. Here's another similar look. I find blue smooshing adds a watery look to my ocean photos! 6. 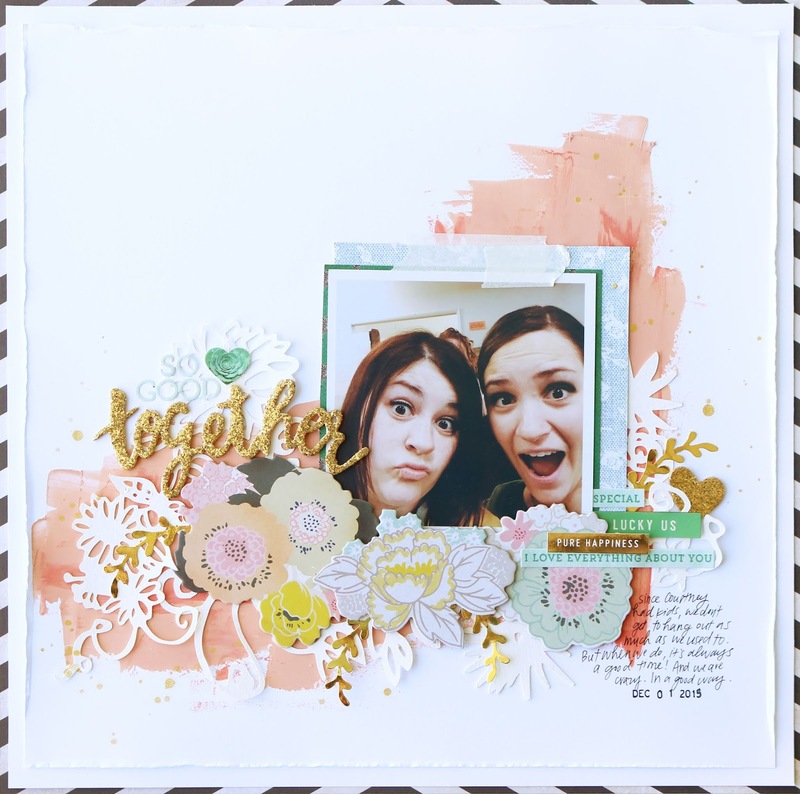 Smooshing with a Stamping Block - If you want your smooshing to stay contained within a shape, this is a great way to go. 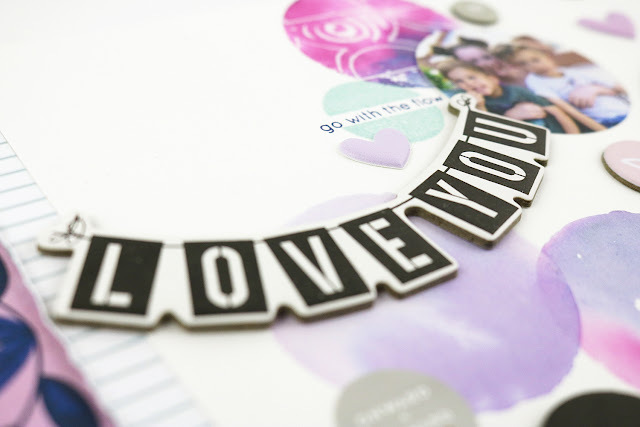 My favorite is my circular stamping block, but you could use anything shaped and plastic-y to get a similar look. The bright circles of color add so much to this layout (which is actually a little peek at a layout from my Ready, Sketch, Go! Volume 5 Class)! 7. Watercolor Swatches - Do you ever test new watercolors on a piece of paper, just to see what the colors look like? Save that! It makes an excellent card. 8. Squares of Color - Another wonderful and simple way to create a background for a card. Simply paint small squares of coordinating colors. 9. 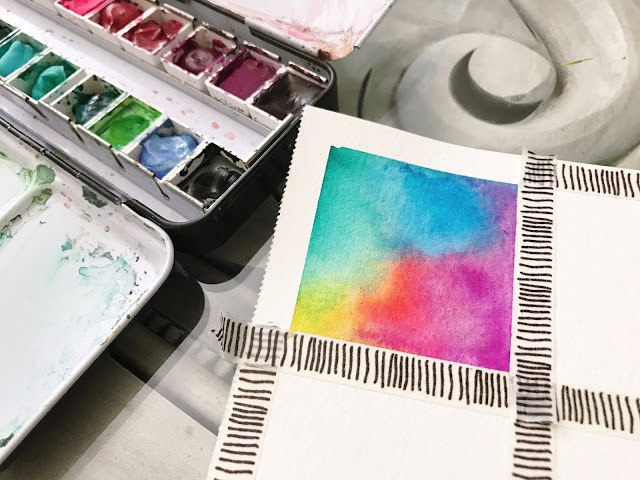 Watercolor Stripes - Similar to the first technique, take a paintbrush (round or flat) and load it up with watercolor. Paint stripes for a card background. I love doing the colors of the rainbow! 10. Pre-made Products - If after all of these examples, paint just isn't for you, you can absolutely use products that already have that awesome look to them! You can find anything from patterned papers, transparency, die cuts, washi tape, stickers, and stamps to give you that awesome painted look without the mess! 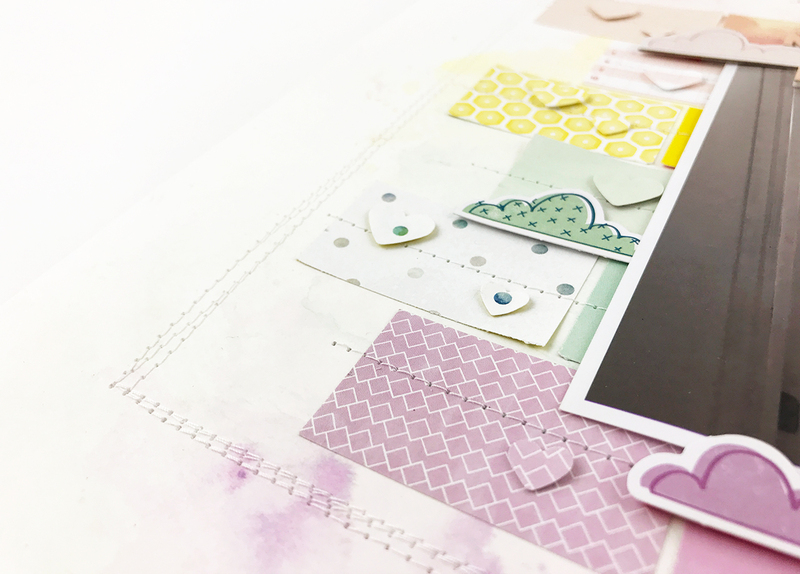 The most recent release from Altenew has a lot of papers and embellishments that will give you that artful look - so pretty! 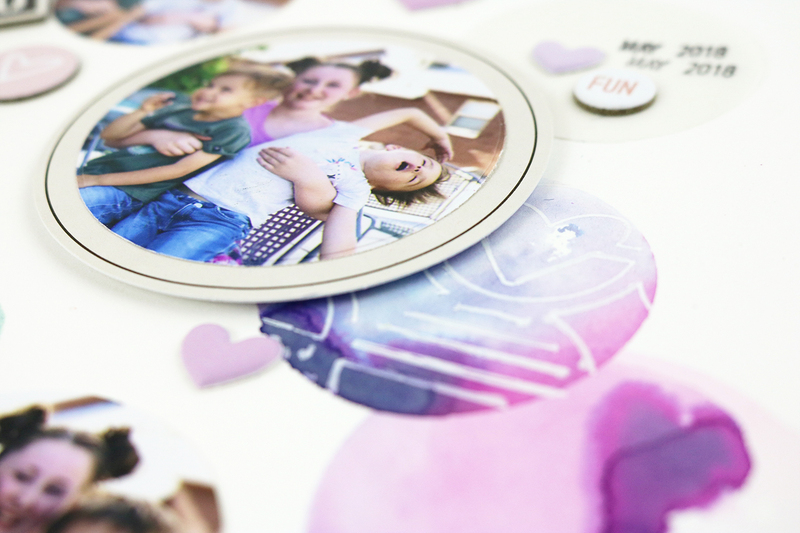 The circles on this layout were actually made by applying some large washi tape with a floral pattern to white cardstock - such an easy way to add that gorgeous look. 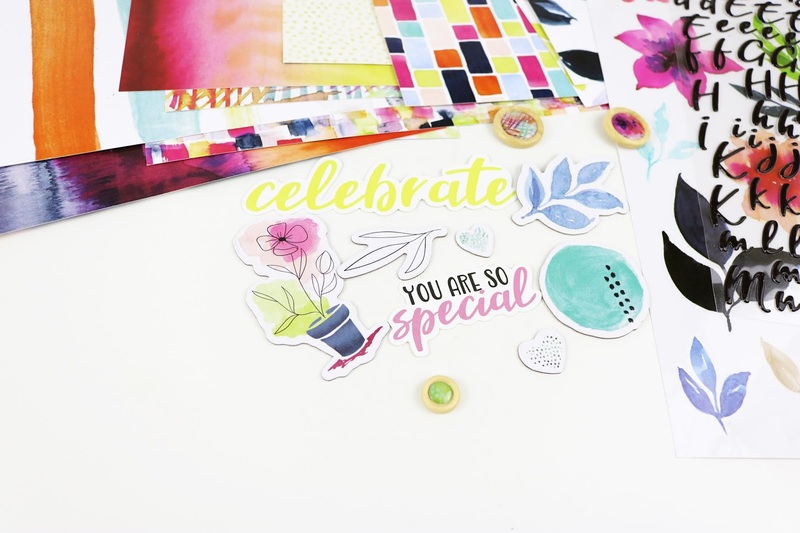 This layout is a great showcase of pre-made artsy patterns. 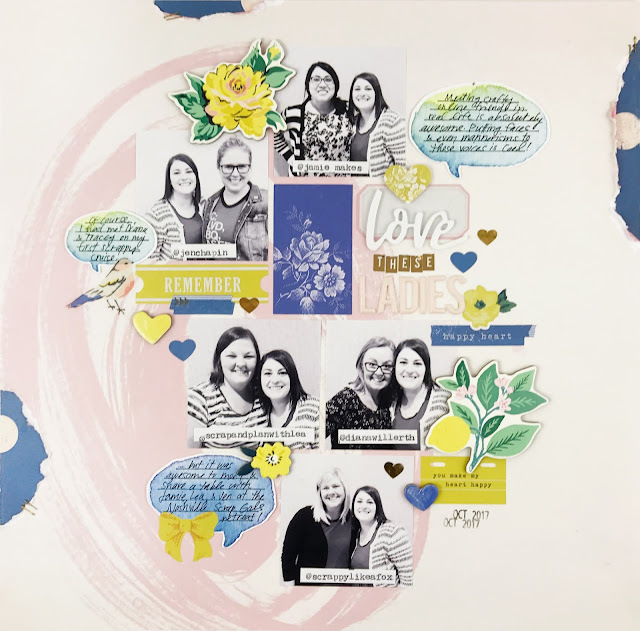 The background (a Crate Paper + Scrapbook.com exclusive) has the pink painted circlular strokes and the speech bubbles were a pre-made die cut from Pretty Little Studio. Gorgeous, right? I hope that I've given you some ideas (and maybe some courage) to go out and try these techniques on your own! And if you want lots of inspiration, be sure to head over to my Facebook group where people are posting new projects all the time!